Netflix has just brought online the Spectral trailer and, in the player below, you can take a first look at Legendary Pictures‘ sci-fi actioner. The film is set to hit both theaters and the streaming service next Friday, December 9. The film follows a brilliant DARPA scientist who goes on a deadly mission with a Special Ops team of Delta Force soldiers into a war-torn city where mysterious phantom aggressors code-named Spectral have been causing inexplicable civilians deaths. Shot primarily on location in Budapest, Hungary, Spectral boasts futuristic weapons by Peter Jackson’s Weta Workshop as well as visual effects by Weta Digital. Junkie XL (Batman v Superman, Deadpool) provided the score. Nic Mathieu makes his directorial debut on the film, which is based on a story by Ian Fried and Mathieu, with a final screenplay by George Nolfi. It was produced by Thomas Tull, Jon Jashni and Jillian Share. 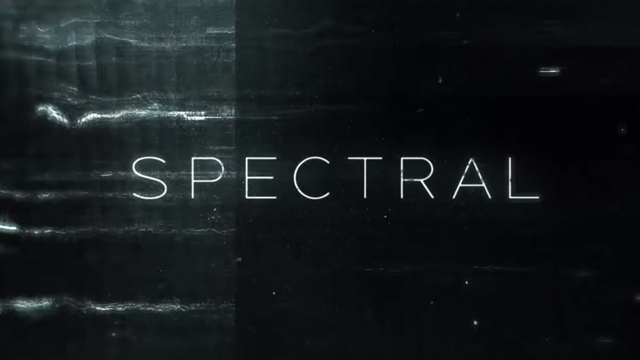 What do you think about the Spectral trailer? Let us know in the comments below!